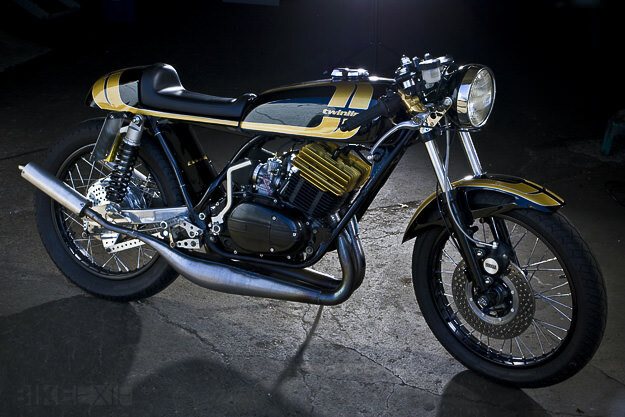 This custom RD350 cafe racer is the work of Twinline Motorcycles. It's called "Project Goldhead" due to the rare (and ultra-slick) gold DG cylinder heads. Very sharp. In the early 70s, the Yamaha RD350 set the motorcycling world on fire. It was light, rapid and unforgiving: in the right hands, it could comfortably see off a 750. In the wrong hands, it was a one-way ticket to the hospital. 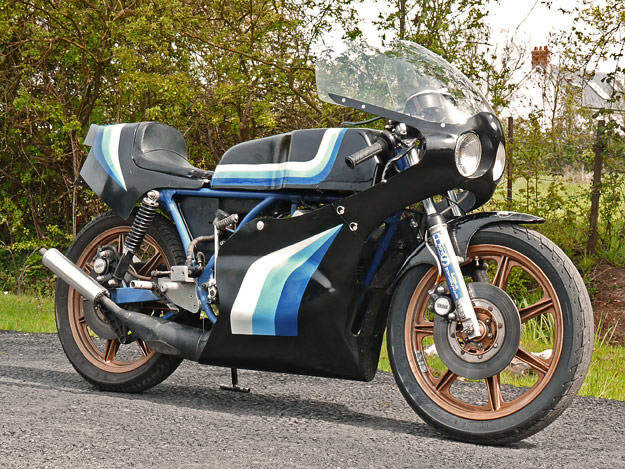 Another highly modified custom Yamaha, this time a street racer built up by Howard Lees. Just about everything's been worked, all the way down to the frame. A great period looker with a very interesting history.